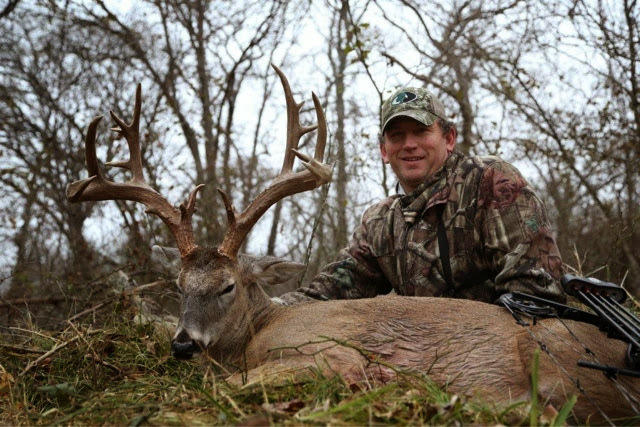 Jason Bruce was here this past week filming for the 2014 season of Headhunter Chronicles. You never know what you're going to get when you meet someone from "TV" but, after four days in camp the true colors will usually show. With Jason, what you see (on TV) is what you get! In a world filled with "recreates" of fist pumping high fives and "give me a minutes", it's refreshing to see something "real". We had a great week and Jason is always welcome in our camp! Here in southern Oklahoma the rut has more or less run down. The bucks are back on a feed pattern trying to get themselves through winter after a vigorous rut. Recent inclement weather has magnified this need. 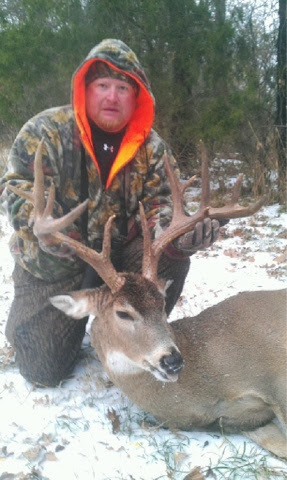 This deer was taken during this time utilizing these facts. Remember the bucks have lost tremendous condition since October so aging them may be more difficult so, take your time and make sure they're mature! ONLY IF YOU WANT TO GETTEM BIG!! !